Cosmo Electricals is the brand name in distributing the quality range of Armoured Aluminium Cables leveraging on our extensive industry experience. Our cables are fabricated using the high grade raw material in the production process in order to assure industry standards. These cables are having high tensile strength, longer service life and excellent conductivity, and range is widely used in for underground cabling and electrical power supply purposes. 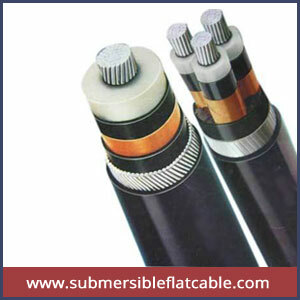 Our provided aluminium armoured cables which are also called as “Power Cables”. You avail the cables in both PVC and XLPE outer sheathing. The cables are generally PVC inner sheathed and core is forms with standard aluminium conductor from 10 sqmm, and above. Our offered armoured cables can be availed as the most reasonable rates and in variety of lengths. Moreover these cables offered are designed to develop with utmost care as per the set industry standards.